The State of the Art University for Technology, Entrepreneurship and Design, taught by industry leaders from around the world. Our programmes feature the best of both worlds: Harbour.Space's ultramodern academic philosophy within UTCC’s established educational ecosystem. This collaboration offers distinct progressive university programmes for students, professionals and executives. Courses are offered in 3 week immersive modules taught by today’s leading experts in industry and academia from around the world. For anyone who lacks the foundation for a career in technology or design, but is enthusiastic and eager to learn. The foundational course that gives students without a creative background the most essential critical learnings in the field of design. of a career in tech, but lacks the mathematical skills. Harbour.Space offers distinct progressive university programmes for students, professionals, and executives. This is where machines meet humans. A programme that teaches digital design that makes seamless human experiences. Get ready to disrupt the market and revolutionize the financial services through innovation and application of new technologies. strategies that make great digital dreams come true. career as a tech entrepreneur. Most things in the world work with computers. Will you? Get ready for the Petabyte and learn what we can do with it. The ultimate university programme on the protection of digital assets and privacy. Most of academia teaches the past, we’re busy building the future. Harbour.Space is made by entrepreneurs, for entrepreneurs. We are design- led, web 3.0, omni-platform and globally interconnected. We are the makers and pioneers in our fields. We don’t care about titles and we don’t do red tape: we hire teachers based on experience and expertise, just like in the real world. We are the most relevant university of our age. Harbour.Space exists for one purpose only: to help young individuals pursue knowledge, so they can progress into fulfilling and meaningful professional futures. We offer the fundamental knowledge, skills and guidance that give students the chance to make anything happen. Our students are not cogs in a machine. We celebrate our human approach by cultivating team work, interdiscipinarity, empathy and curiosity. Great ideas and their realisation never come from specialists: they come from all-round visionaries. But presently, technology and design are in an arranged marriage: they are together because it’s what’s expected. We are cultivating a love marriage between the two, and we are the only university in Europe to do so. We’re doing this because the two naturally depend on one another, but experience a great lack of understanding. Interdisciplinarity is our love potion – expect sparks. Academics aside, Harbour.Space students have an additional invaluable benefit; access to one of Thailand's largest and most established Universities' campus facilities, thanks to Harbour.Space and UTCC's strategic collaboration. All commodities of UTCC's modern campus are available for Harbour.Space students to use indefinitely, including the library, the gym, the sports centre, and many more. Our faculty leaders are the people who make technology and design move today. We believe the best way to learn is by immersion in the field of study and learning directly from the source. That’s why our excellent leaders curate and invite the cream of the crop of today’s experts to share invaluable hands-on knowledge in intensive 3 week courses. Banki is a FinTech product that educates children about the value of money. A platform that seamlessly connects talented international high school tennis players to U.S. college coaches. Loyalty programme that transforms the concept of rewards from free things into meaningful gifts, permitting the user to share more than just a product, but the experience itself. If you're interested in learning more, just get in touch! A member of our awesome admissions team will get back to you in no time. They can help out with any questions you might have and provide you with complete information about our programmes, our admission requirements, and the next steps from here. Applying to Harbour.Space is simple - you submit your application online at www.harbour.space, at any point in the year. Keep in mind, applications are best made sooner than later because both our application process as well as potential visa applications can take time. Input your details, so that we have an idea of who you are! You will receive an instant email confirmation to let you know everything is on course. The fee is a fixed €125 EUR for all programmes and payable by all applicants. The fee guarantees we can process every single application fairly and maintain the highest possible standard of assessment. 2-5 weeks after the application submission date, candidates will be contacted for an interview. Dont worry - we just want to get to know you better! Successful applicants receive their documentation, welcoming them to Harbour.Space University. Your place is officially secured as soon as the tuition fee for the first year has been received. Once you present your documentation to the Admissions Office, you're officially enrolled to Harbour.Space @ UTCC - pack your bags for Bangkok, your journey begins! We’re one of the institutions completely dedicated to technology, design and entrepreneurship, and our interdisciplinary courses are taught by some of today’s leading professionals. Our aim is not only to equip students with the knowledge to take on the real world, but to nurture, create and shape tomorrow’s tech superstars. UTCC belongs to a select number of universities officially affiliated with a governmental branch. Thailand’s business oriented university offers fully accredited Foundation, Bachelor, and Master’s courses and programmes to over 20,000 students for over 75 years, and has big plans to continue the tradition for the future ahead. 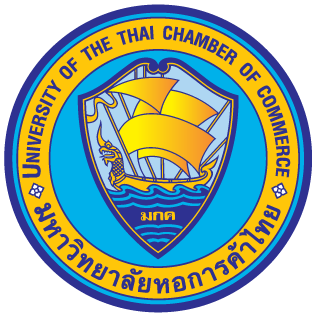 UTCC has been providing quality private education in Bangkok for over 75 years, and belongs to a select number of universities officially affiliated with a governmental branch. Thailand’s business oriented university offers fully accredited Foundation, Bachelor, and Master’s courses and programmes to over 20,000 students. Which University will I receive a degree from? Do I get a job placement upon graduation? The admission process for the 2019-2020 academic year has already started. Applications are accepted on a rolling basis, which means that there is no application deadline. We will continue to accept applications only until full enrolment has been reached. Programmes have limited spaces, 25 people per each. Therefore, we recommend to apply as soon as possible in order to ensure that there is a place available within the programme (and to have time to process your visa application, if required). Students will graduate with diplomas from both universities Harbour.Space University and UTCC. Harbour.Space is steadfastly committed to ensuring that the best students are able to attend the university, independently of their financial circumstances. We are supporting extraordinary students who would not be here without the assistance provided by our endowed scholarships. No separate application is required for scholarship funds. Admissions Office will inform you about whether or not you are entitled for financial aid and its terms in its admission decision. Financial support programme is need-based; all aid eligibility is based on a student's financial circumstances. At the current moment there is no accommodation provided by Harbour.Space. Students are expected to find their own accommodation. We can also recommend some student organisations that could help you with finding accommodation. There is, however, on campus accommodation options provided by UTCC. The majority of our students receive numerous job offers at the end of the second academic year of their Bachelor's programme and at the end of the first academic year of their Master's programme. The best applicants receive an offer from our industrial partners at the beginning of their programmes. 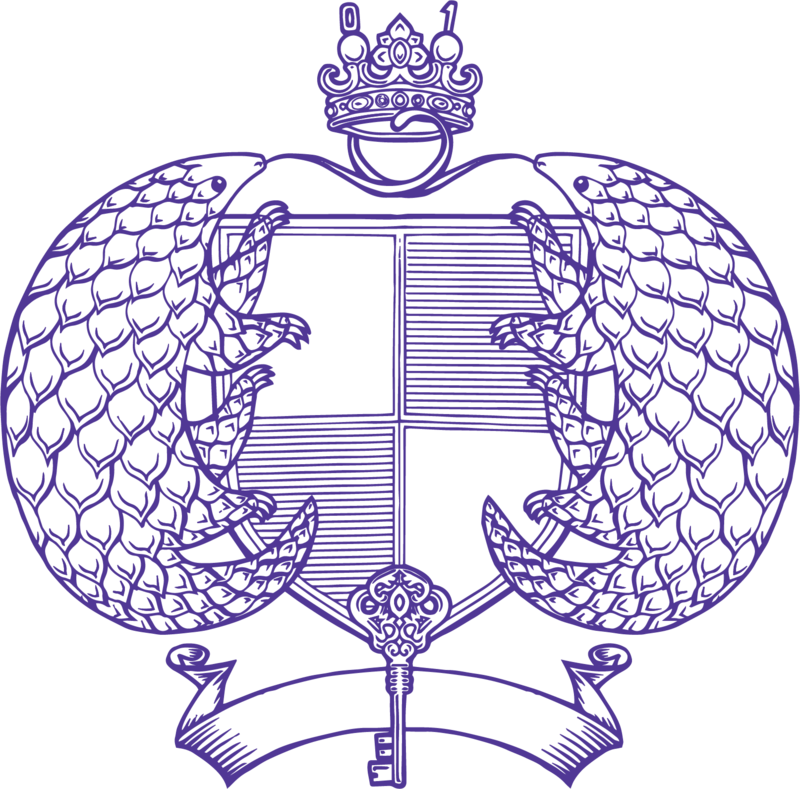 Harbour.Space is highly recognized among innovative employers and is strategic partner of B.Grimm multi- industry corporation with 140 years of history in Thailand. Together we insure students get the best knowledge about the current job market opportunities. We offer our students paid internships options during studies jointly with our industrial partners. Employers that hired graduates of Harbour.Space in the past include Google, IBM, Accenture, Typeform, Frog, and other tech centric companies. Our industry specific employability report could be provided to you separately during the admission process. “Going to Harbour.Space is a journey to discover yourself. During my time here I was able to identify my strengths and weaknesses by exploring the different disciplines that were offered. I became a digital marketer, an interaction designer, and an entrepreneur. Take every opportunity that comes along your way, that’s how you’ll find your path in your professional career." “A year spent at Harbour.Space was one of the best years of my life. Meeting some of the best professionals like Irene, who helped me a lot to grow professionally as well as personally was amazing! I can never thank enough to all those teachers and Harbour.Space"
University for Technology, Entrepreneurship and Design, taught by industry leaders from around the world. The foundational course for everyone who dreams of a career in tech, but lacks the mathematical skills. The business degree that will rocket-launch your career as a tech entrepreneur. Platform that seamlessly connects talented international high school tennis players to U.S. college coaches. 2-5 weeks after the application submission date, candidates will be contacted for an interview. Stay cool - we just want to get to know you better! Successful applicants will receive their documentation, and are now part of the Harbour.Space family! Your place is securely reserved as soon as the tuition fee for the first year has been received. Once you present your documentation to the Admissions Office, you're officially enrolled to Harbour.Space @UTCC - pack your bags for Bangkok, your journey begins! No separate application is required for scholarship funds. Admissions Office will inform you about whether or not you are entitled for financial aid and its terms in its admission decision. Financial support programme is need-based; all aid eligibility is based on a student's financial circumstances. Many Harbour.Space scholarship funds originate as targeted aid from individuals and corporations based on the information provided in your Admission Profile. At the current moment there is no accommodation provided by Harbour.Space. Students are expected to find their own accommodation. We can also recommend some student organisations that could help you with finding accommodation. There is, however, on campus accommodation options provided by UTCC. Harbour.Space is highly recognized among innovative employers and is strategic partner of BGrimm multi- industry corporation with 140 years of history in Thailand. Together we insure students get the best knowledge about the current job market opportunities. WHAT PROFICIENCY IN ENGLISH IS NEEDED? As all of our courses are taught in English, we require that our students speak English well. While we take work experience and standardised test scores into consideration, we do not have specific set of requirements. Your abilities to convey your thoughts in English and whether they will be good enough to engage during the courses will be mainly evaluated during the interview. WHERE IS THE CAMPUS OF HARBOUR.SPACE LOCATED? The Harbour.Space @ UTCC campus is located in the heart of Bangkok, on Vibhavadi Rangsit Road. The Din Daeng District, where the grounds are situated, allows for its residents to escape the rush of the city center while maintaining the benefits of living in a metropolis. The campus is close to public transport and BTS, and just 2 minutes from the Huai Khwang MRT station, so students have easy access to the city. Yes. The non-immigrant visa ED, or education visa as it’s commonly called, lets non-Thais study in a Thai university or similar educational setting. This visa is valid for 90 days, but students have the option to extend it. Each visa extension will provide the student with 90 more days in Thailand, and eligible students can extend their visas three times, providing up to 12 months from the original date of entry. Youth is not for sale. That’s why we teach highly relevant and real-world responsive courses that give students a head-start even before graduation. Our programme leaders continuously scrutinise the curriculum to ensure students focus on realtime useful subjects. We teach 3-week intensive courses throughout the year, offering more learning in less time, on flexible and adaptable schedules. If you get a place at Harbour.Space that means you get the best education. The programmes are tough and our students must work hard. We don’t sell quick-fix coding or data science courses, because they don’t exist. Only with very solid foundational knowledge of universal core concepts in science can students grow to move forward indefinitely, no matter how much the world around us changes. What proficiency of english is needed? The Harbour.Space @ UTCC campus is located in the heart of Bangkok, on Vibhavadi Rangsit Road. The Din Daeng District, where the grounds are situated, allows for its residents to escape the rush of the city center while maintaining the benefits of living in a metropolis. The campus is close to public transport and BTS, and just 2 minutes from the Huai Khwang MRT station, so students have easy access to the city. Yes. The non-immigrant visa ED, or education visa as it’s commonly called, lets non-Thais study in a Thai university or similar educational setting. This visa is valid for 90 days, but students have the option to extend it. Each visa extension will provide the student with 90 more days in Thailand, and eligible students can extend their visas three times, providing up to 12 months from the original date of entry.